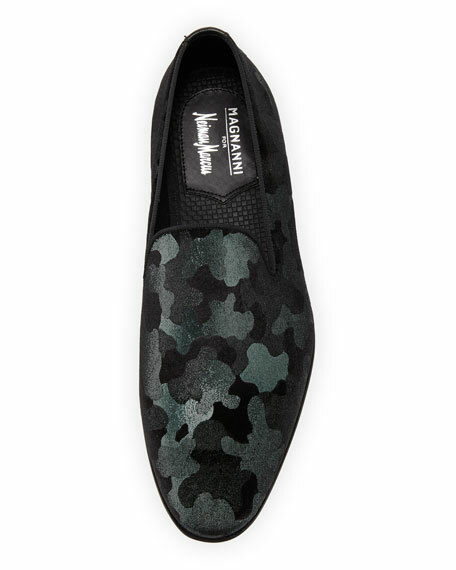 Magnanni for Neiman Marcus men's loafer in camouflage velvet. Di Bianco suede dress loafer with double monk strap. 1" stacked heel. Tapered cap toe. Logo-engraved buckle detailing. Leather lining. Di Bianco suede dress loafer with double monk strap. 1" stacked heel. Tapered cap toe. Logo-engraved buckle detailing. Leather lining. Made in Italy. 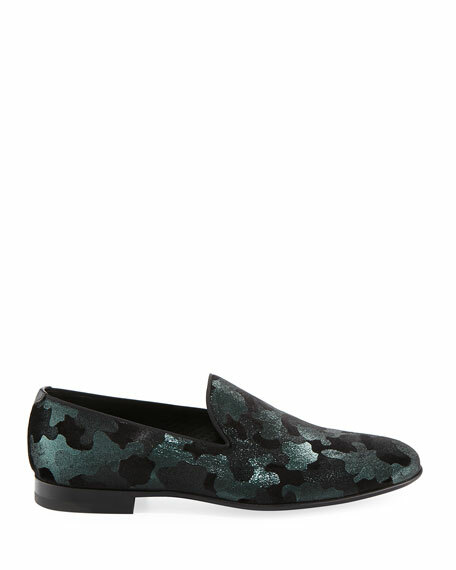 Giuseppe Zanotti leather and suede loafer with grosgrain trim. 1" flat stacked heel. Round toe. Notched vamp with metallic shark tooth ornaments. Leather lining. Smooth outsole. Made in Italy.